How to look absolutely gorgeous with a long hairstyle for the Big Day? We have some ideas for you – so read on and find out more. • Sleek. Want to look like Kim Kardashian on the red carpet? It is, indeed, a very trendy look right now – and her secret lies in healthy hair. Start early with your hair treatments, avoid dyeing it (or use professional products to do this), and wear your hair like a true queen of the modern age! It will look absolutely mind-blowing! • Hollywood. You may think long hair doesn’t do particularly good with old school Hollywood waves, but it so does! Regardless of how long your hair may be, this style will instantly glam you up and make you feel unique, beautiful, and timeless at the same time. • Half up, half down. 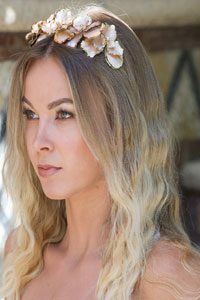 This is a true classic for brides with long hair, but if you are tired of the same iteration (pulling a bit of hair up and adding a bit of texture with waves to the rest of the hair), you definitely have options. For instance, your hairstylist could pull your hair up into a half-crown braid, leaving the remaining hair flow beautifully in beach waves. Perfect for a casual bride! Looking for the very best wedding hairstylist in Florida? Or maybe searching for a talented makeup artist as well? We can help with both – and we can do it at the highest standards out there! Contact Ultimate Bridal Beauty and you will feel truly pampered on your wedding day!